"Sustained attention and effort, mindful choices about how to use time, and the ability to tolerate sometimes unpleasant tasks are the key ingredients for being a productive student." Executive Function skills are self-management skills that help us achieve goals. It’s how we manage our emotions and attention, organize and plan our work and time, and reflect upon and revise our tactics as circumstances change. These skills are critical for meeting the challenges of school demands and later, as an adult, our professional and personal lives. Essentially, Executive Function skills help us be productive. And that’s the distinction between Executive Function skills and intellect. A person with a high IQ can be capable of understanding or discussing complex concepts, but be nearly incapable of producing an essay, completing a set of problems, or finishing a research paper. Why? It’s not because he isn’t smart enough, it’s because he can’t effectively marshall his efforts toward a specific end result. Think of IQ as the engine in a car and Executive Function skills as the oil, fuel, belts and hoses that make it run effectively. 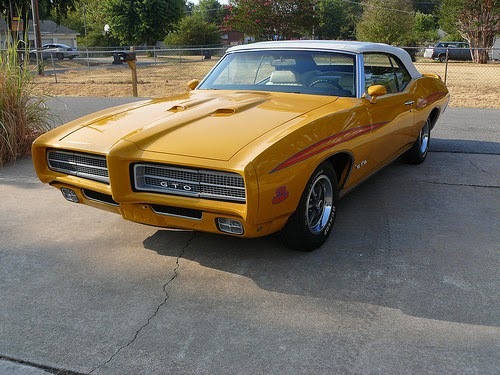 That perfectly restored 1969 Pontiac GTO with a 330 horsepower engine has plenty of potential to cruise down the highway on a sunny Saturday, but see how far you get with faulty spark plug wires. Maybe it’s attention-related. She gets distracted, then hyper focused on 20 other cool topics when she sits down to gather relevant research for a paper. Before you know it, 4 hours have elapsed and no notecards have been completed, and that outline is way behind schedule. Maybe it’s related to emotional regulation, our ability to maintain an even keel in the face of frustration or boredom. Perhaps he really hates the assignment, thinks it’s stupid, and is angry at the teacher for imposing the task. He may find reasons to delay getting started, or rationalize avoiding it altogether. It’s not that he doesn’t understand the material, it’s his emotional reaction to the task demands that forms the barrier to productivity here. Maybe it’s organization that’s the issue. If a student has trouble pulling together information and then imposing a structure on it, she is sacrificing productivity. With an essay, for example, organization pertains to what to include in an introduction, how to use your thesis to guide how you construct your body paragraphs, and how to write a conclusion that both summarizes the evidence and then takes it to the next level. That bright student may have all the information accurately in her head, but if she lacks a method to get those ideas cohesively in written form, there’s no product to pass in to the teacher. Maybe a bright student is ineffective because he can’t manage his time or prioritize his efforts. He may stay up until midnight perfecting a single low-stakes assignment, leaving untouched the others that influence his grade far more. Or he may grossly underestimate how long an assignment will take, play video games until 11:00pm and then realize that the physics lab report due the next day is way more complicated and time consuming than he had imagined. Now you see why we, as Executive Function coaches, don’t put our emphasis on being “smart.” Pure intellect doesn’t equal productivity. Sustained attention and effort, mindful choices about how to use time, and the ability to tolerate sometimes unpleasant tasks are the key ingredients for being a productive student.